PHOENIX, AZ — The national law firm of Quarles & Brady LLP today announced that Phoenix partner Heather L. Buchta has earned the Certified Information Privacy Professional/United States (CIPP/US) credential through the International Association of Privacy Professionals (IAPP). Heather is a member of the firm's Data Privacy & Security Industry Team and sits in the firm's Intellectual Property Practice Group. She focuses her practice on the areas of e-commerce, software, technology, and data privacy, as well as on copyright and trademark prosecution. The IAPP is the first organization to publicly establish standards in professional education and testing for privacy and data protection. IAPP privacy certification is internationally recognized as a reputable, independent program that professionals seek and employers demand. Developed and launched by the IAPP with leading subject matter experts, the CIPP is the world’s first broad-based global privacy and data protection credentialing program. Successfully completing the CIPP/US program demonstrates a strong foundation in U.S. private-sector privacy laws and regulations and understanding of the legal requirements for the responsible transfer of sensitive personal data to/from the United States, the European Union, and other jurisdictions. Buchta joins the ranks of more than 5,000 professionals worldwide who currently hold one or more IAPP certifications. 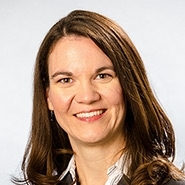 "We are thrilled that Heather has earned her CIPP/US certification," said John Barlament, chair of the firm's Data Privacy & Security Industry Team. "The accomplishment is indicative of the dedication she has displayed in mastering the myriad—and ever-evolving—nuances to all things data privacy. Heather's vast knowledge of the issues brings value to our practice and clients." The International Association of Privacy Professionals (IAPP) is the largest and most comprehensive global information privacy community and resource, helping practitioners develop and advance their careers and organizations manage and protect their data. Founded in 2000, the IAPP is a not-for-profit association that helps to define, support, and improve the privacy profession globally through networking, education, and certification. More information about the IAPP is available at www.privacyassociation.org.